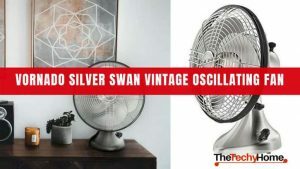 Among all propeller fans including Vornado products, 630 has the smoothest airstream.The fan provides consistent and steady airflow in the room without you feeling choppiness of the propeller. You might quickly judge its functionality because it does not rotate; however, you will reverse your perception of its effectiveness minutes after plugging it. Whether it is during the extreme summer temperatures or high humidity in winter, 630 provides a gentle breeze that won’t interfere with your sleep or light papers around the room. $60 is on the extreme end when comparing fans of its size. At first,you might be concerned of why you should spend such an amount when there are many others at a lower price. 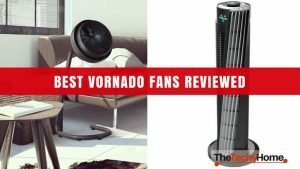 Trust me; Vornado 630 is worth every penny. Just like other fans, it has three speed levels; low, medium, and high. If you need gentle breeze over a long period as you watch a movie or need to quickly clear up the air before a visitor comes, 630 has got you covered. I know it sounds weird like you have been living in a stuffy and unconducive environment then you only freshen up when someone is coming. You might have been out for a week and you have to host a friend. 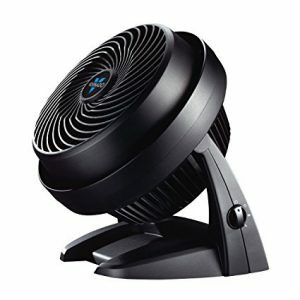 Vornado 630 is light and relatively small. If you are going for a vacation in the countryside during summer, you might want to pack this. It is easy to connect the appliance; it is all about plug in and out. If space is an issue in your car trunk or carton that you intend to place the fan for transportation, you can consider removing the base. It is easy to unclip and install back when you get to your destination. 630 is not bulky at all. The power cable is long enough, which gives you unlimited options on where to place it in a room. You are not restricted to a power source. 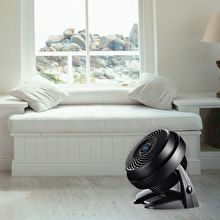 Do not worry if your bedroom power source is far from the bed, you can plug the fan and move it to a preferred distance. 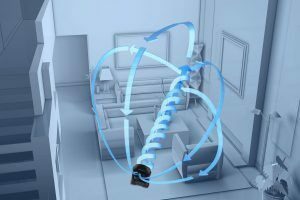 If you want to control airflow in the dining room and living room at the same time, the length of power cable allows you to move the fan to a central point. Nevertheless, distance is not an issue to 630’s effectiveness. 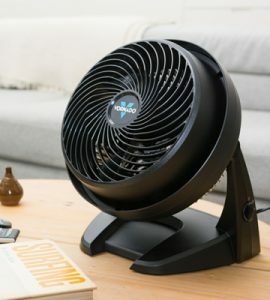 Oscillating fans cannot match up to air movement generated by this fan. You don’t need to worry about its orientation in the room. In fact, you would better place it on one corner of the house and let it face another corner. Unlike other fans, wall enhances its air movement; the power from its blades exert air pressure on the walls that bounce back to circulate in the whole room. This does not mean air circulation is random, the rotation of blades in different directions influence air movement. Irrespective of where you are in the living room, you will feel the breeze. The fan lifespan is not a worry. 6 years of daily use is an understatement. Be sure to keep it free from dust and power surges and you might have made a lifetime investment. There is no need to replace the blades unless you intentionally interfere with its functionality. 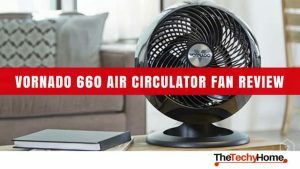 Do not try to adjust the blades to suit your preferred air circulation pattern; let the Vornado 630 be in one corner and experience its effectiveness. The size and weight enhances its portability. 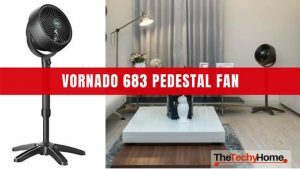 Vornado 630 can fit in your travelling bag. 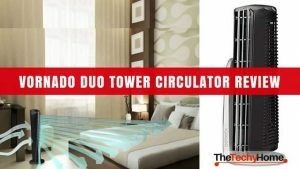 You can also easily move it from living room to your bedroom. But because it is an electric appliance you might want to carry it separately to prevent damage. Am assuming you are going to a ranch or a wooden house thus carrying more than a suitcase to suffice several weeks of stay. When taking vacations during summer, we often forget high temperatures can be uncomfortable; with 630, you don’t have to worry about installing an air conditioner in your ranch house. It is a plug and play device. The fan is relatively quiet but some find it to noisy. 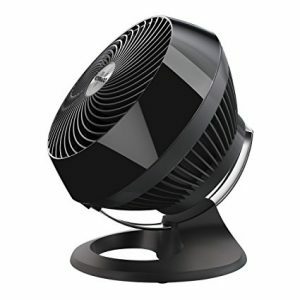 The fact is, it is noticeable; you will know when Vornado 630 is running in a room. However, the noise level from the blade rotation is mild and are only pronounced in the night when every device is off. Whether this is a negative depends on your sleeping preferences. People are different when defining peaceful sleep; to some the white noise is soothing and helps them get to sleep faster. To others it is a complete nuisance. 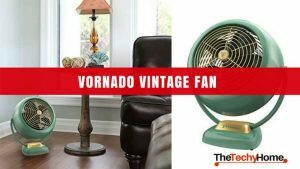 Don’t be quick to judge the plastic exterior on Vornado 630. It is not like any other plastic; the material is strong and sturdy to withstand any forms of shock and falls. While it may not match up aluminum and steel, do not be fooled by the plastic covering. It more durable than you can imagine. The significant differences in the two models are size, airflow performance and price. 660 is bigger and offers extra airflow because of its speed settings. Also, 660 costs $30 more than the 630. If you have to make a decision between the two then consider your room size and budget. Amazon may have put a a discount on one of them, click here to go the 660 page, or here to go to the 630 page. 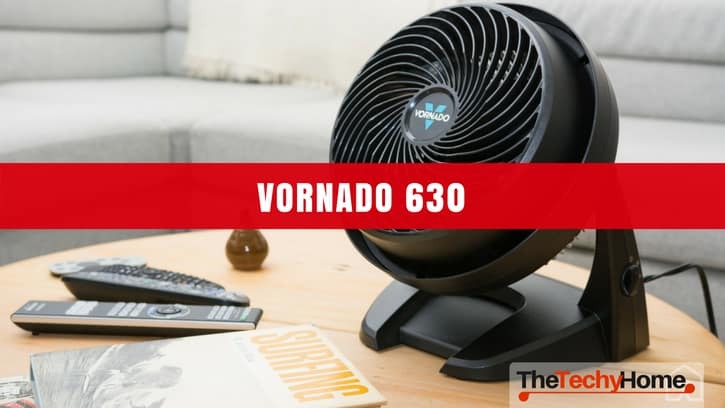 And if you want more info about the Vornado 660, check our review here.